2-piece design: tempered glass back and 360° bumper. 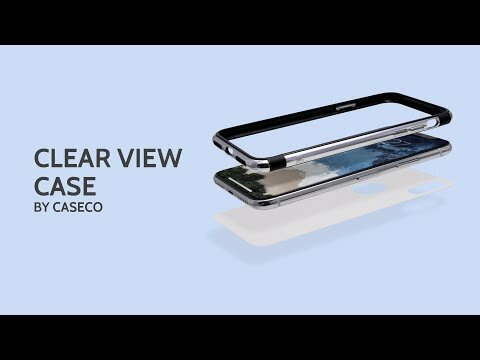 Clear view case offers a sturdy grip and a slim profile. iPhone X construction flaunts phone’s original design. Raised lip ensures the extra protection of the screen and camera. The case has precise cutouts and responsive buttons. The Clearview case was designed with a minimalistic mindset with its ultra-thin profile, sleek bumper and shook proof protection. This case provides the perfect fit for your device and an experience that Apple intended it to be. The Clearview case was designed with a minimalistic mindset with its ultra-thin profile, sleek bumper and shock proof protection. Good! Except the color is darker than I thought. Get a lot of complements on the pattern. Works great with my pop socket and does a great job at protecting me phone!